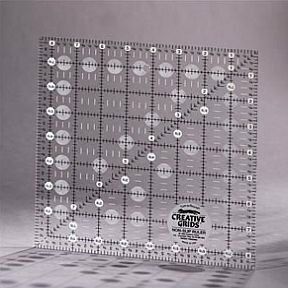 These rulers are clear, with opaque no-slip gripping dots on one side. 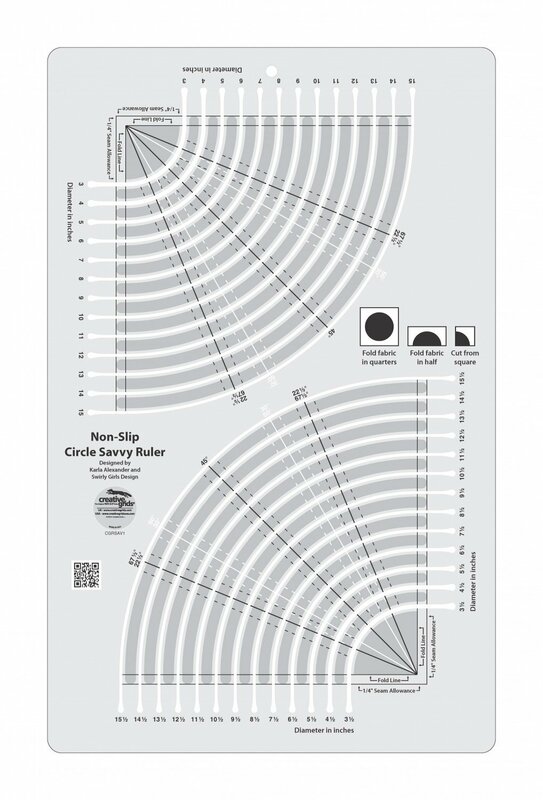 The numbers are in circles on black lines - the lines between the inches are in white. 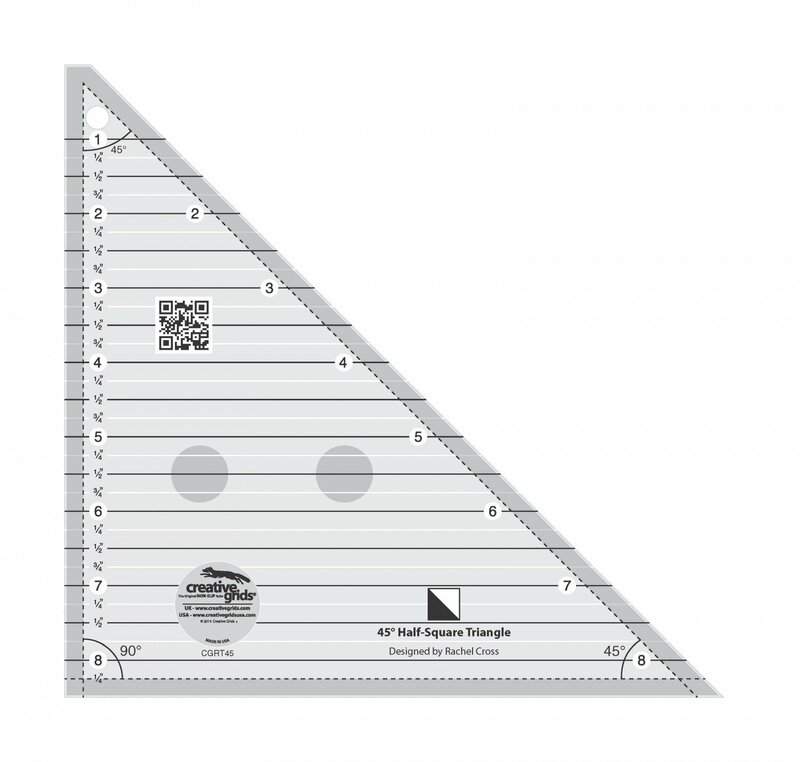 These rulers have a bias line. 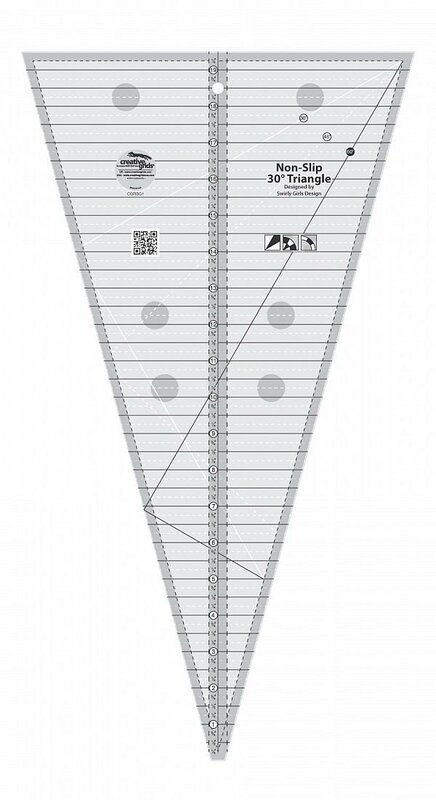 Please note, they are photographed with the light behind them, so you can see the dots in the shadow in front of it. 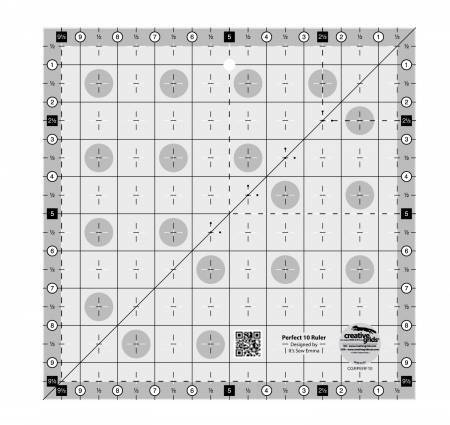 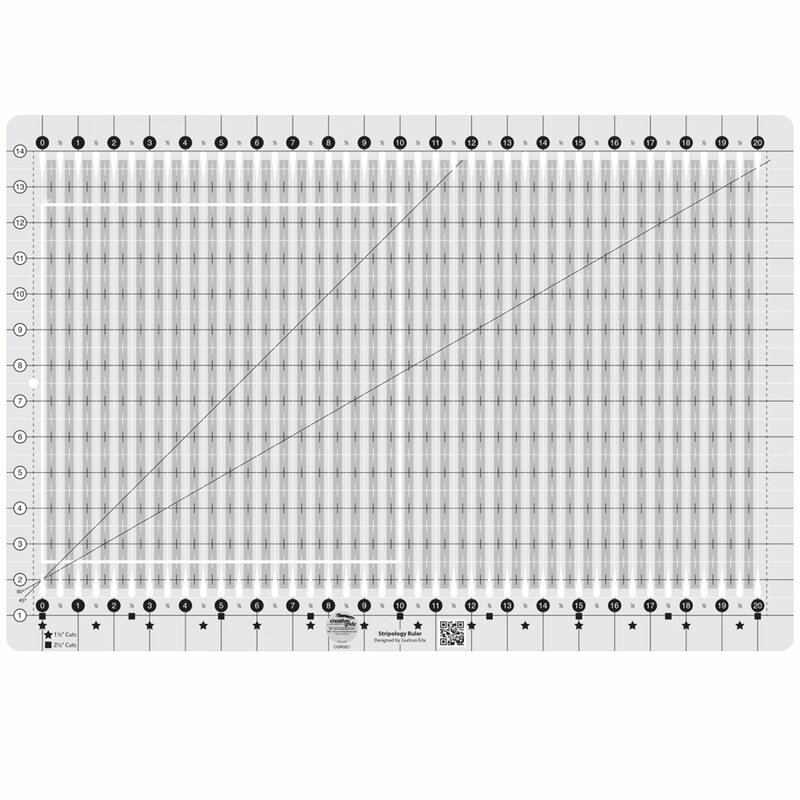 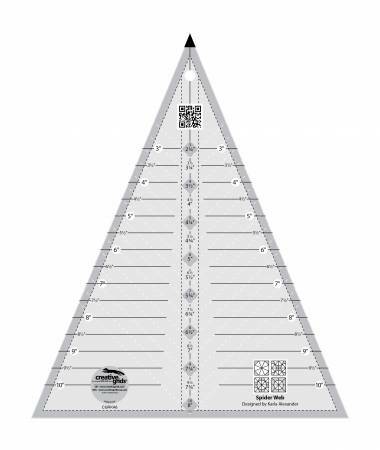 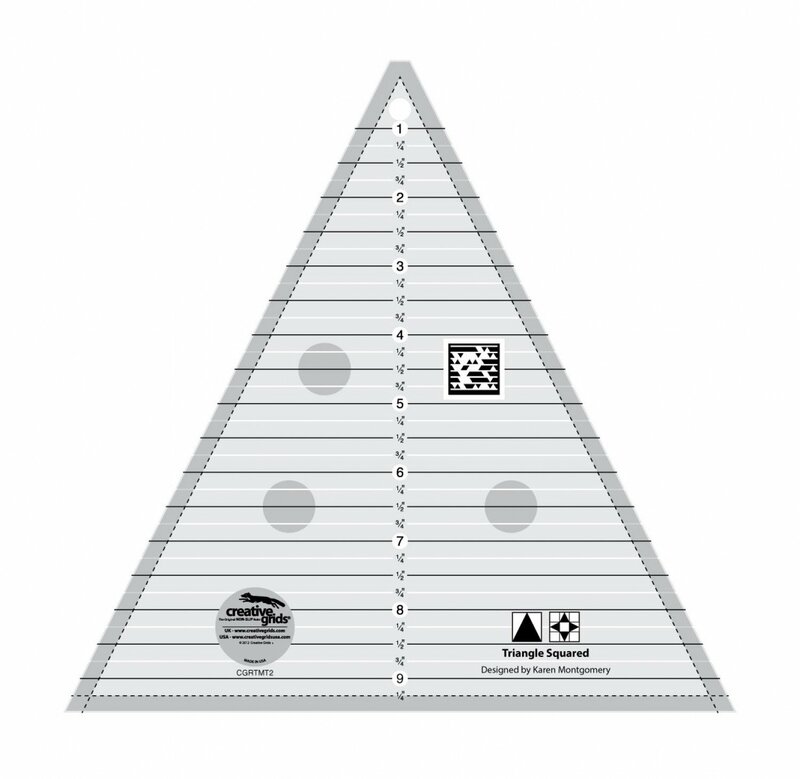 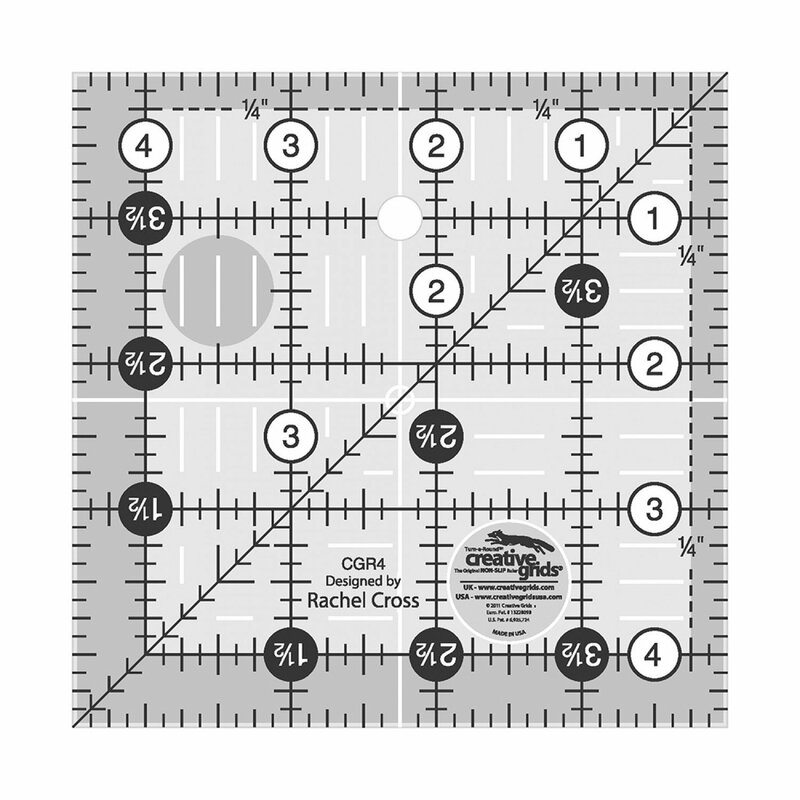 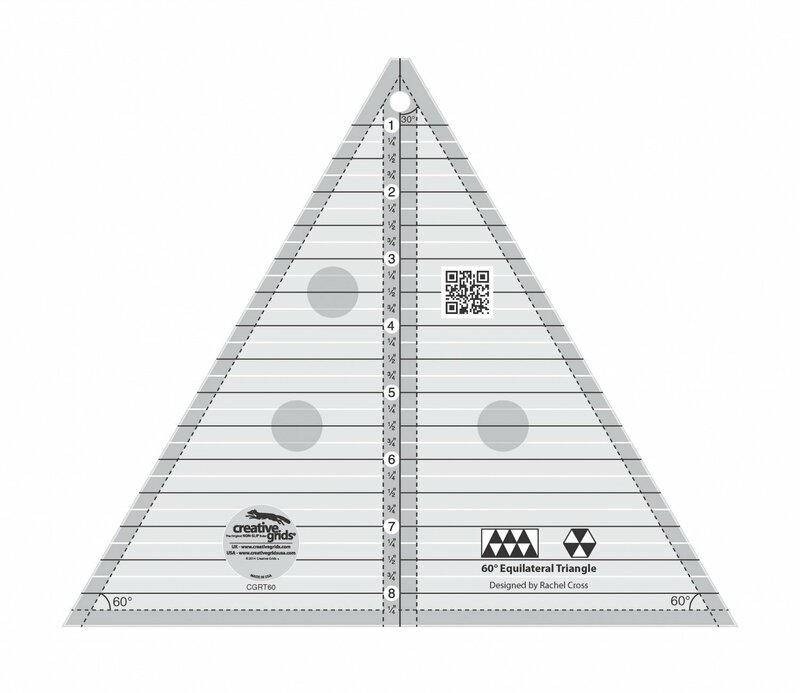 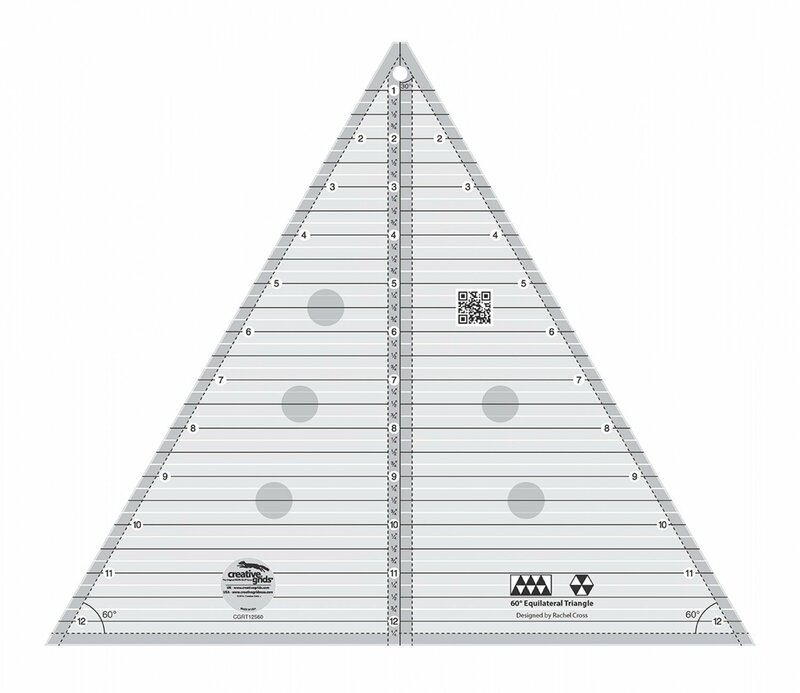 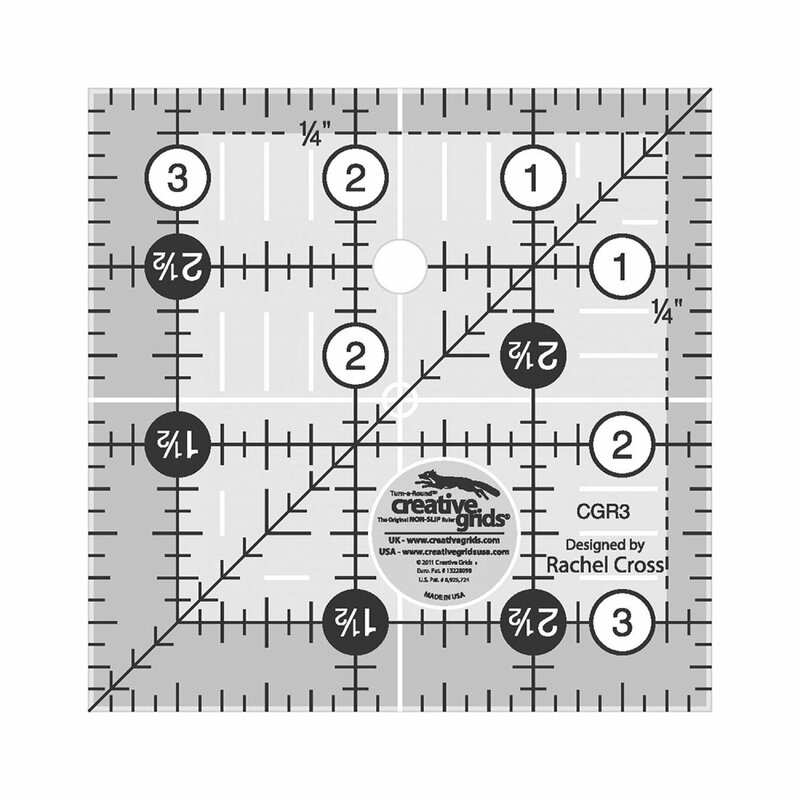 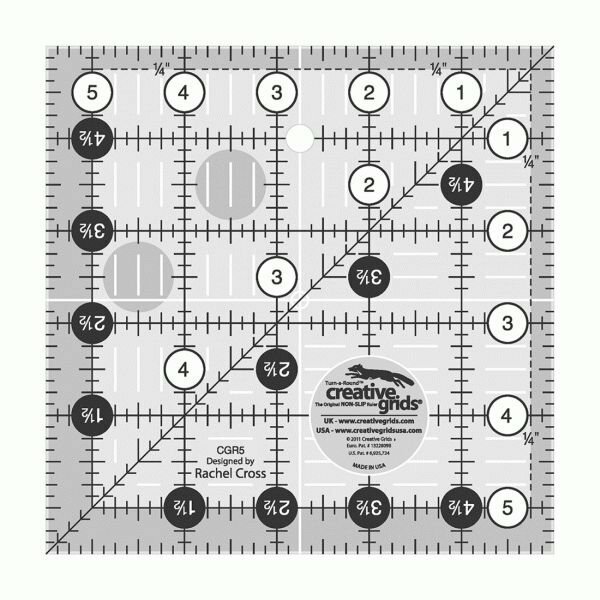 The Square it up or Fussy Cut Ruler has vertical, horizontal & diagonal lines to square up any pieced, appliquéd or embroidered block. 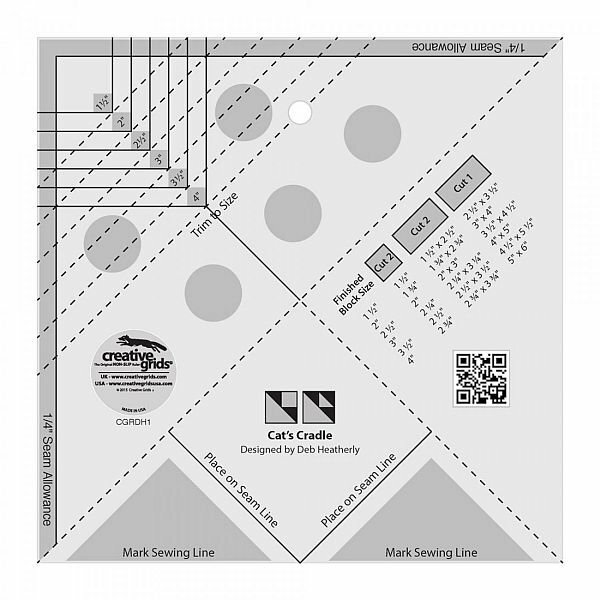 To fussy cut, center a design in the solid squares. 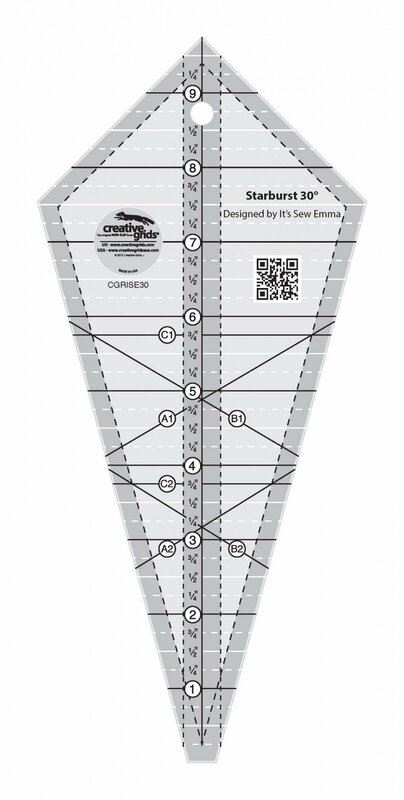 The drilled holes lets you mark and add the seam allowance to fussy cut pieces.